Cascade Park Retirement Community recently hosted a luau as part of an effort to raise money for the Alzheimer’s Association. Participants ages 65 and up were encouraged to take a selfie at the community’s photo booth, which would then be uploaded to SYNERGY HomeCare’s Facebook page. 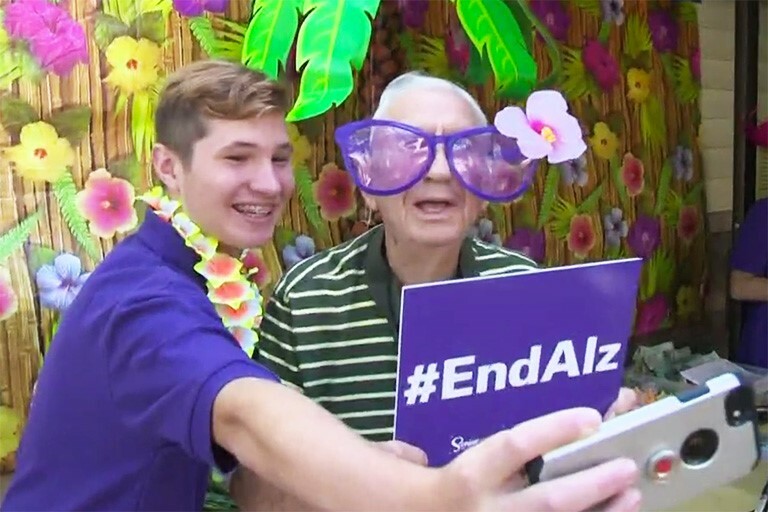 As part of their Senior Selfie to End Alzheimer’s campaign, SYNERGY is making a donation on behalf of any senior who takes a selfie that is posted with the #EndAlz hashtag. Century Park Associates is a proud supporter of the Alzheimer’s Association and thankful for the efforts our buildings make in raising money for finding a cure.